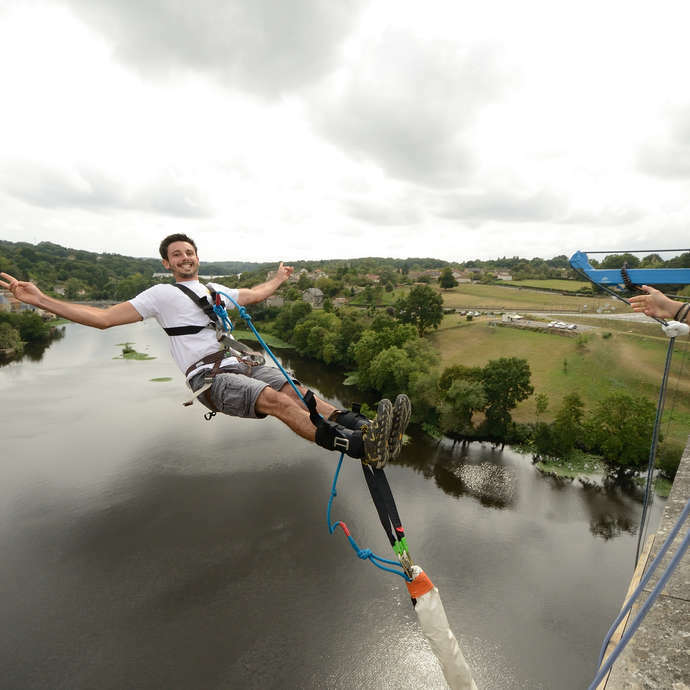 Try bungee jumping from the top of the Isle Jourdain and Le Vigeant viaduct. The team that will supervise you has plenty of experience, with 100 000 jumps achieved; it will provide you with security and guide you throughout the activity. You will be equipped with the necessary gear (rope, harness, karabiner, bungee, etc. ), which fully complies with current standards and is checked regularly in accordance with the regulations. You will come out of this experience safe and sound and full of sensational memories.